There were serious doubts if Steph Curry would return to complete form after suffering a freak knee injury in the Houston series. But all that worrying was laid to rest as Curry returned for Game 4 the Western Conference Semi-Final series, dropping 40 points and leading his Warriors to a convincing win thanks to a dominant OT performance. 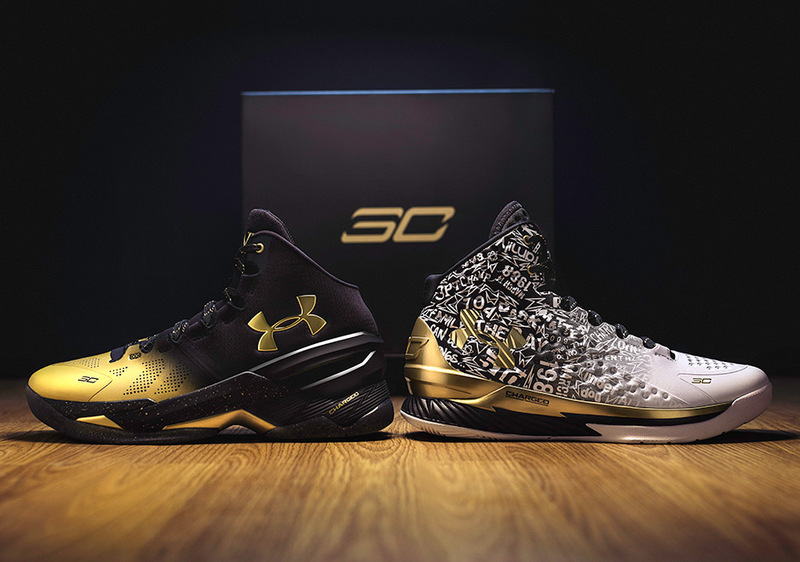 Steph was also crowned the NBA league MVP for the second season in a row, and as the official announcement comes forth today, Under Armour unleashes a special tribute to their pinnacle athlete’s achievement with the UA Curry “Back To Back” Pack. 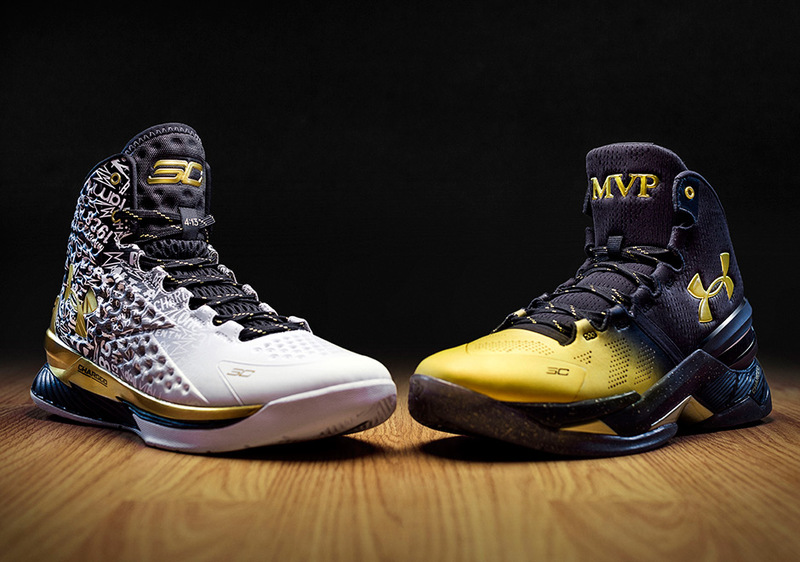 This limited set features the first Curry 1 “MVP” as well as a brand new Curry 2 “MVP”, with both pairs being housed in a giant shoebox. 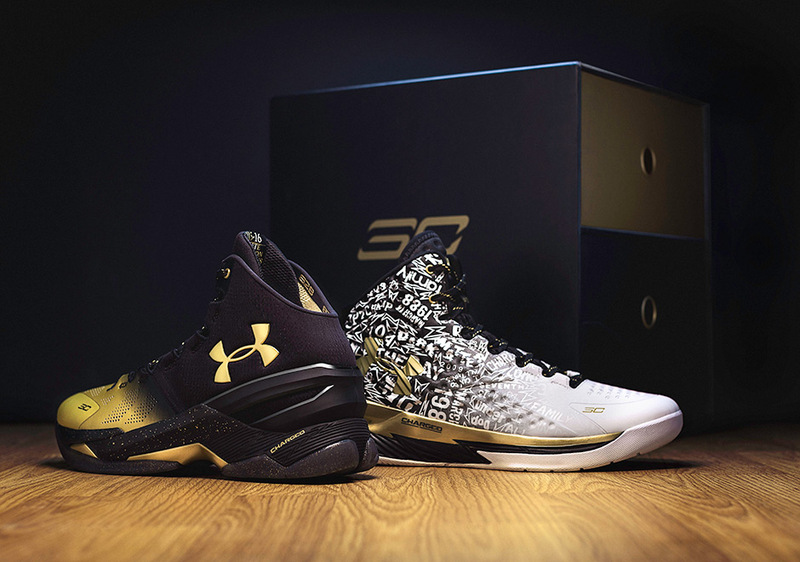 You can pre-order the Curry “Back To Back” Pack now on UA.com, but the wide release is June 24th. 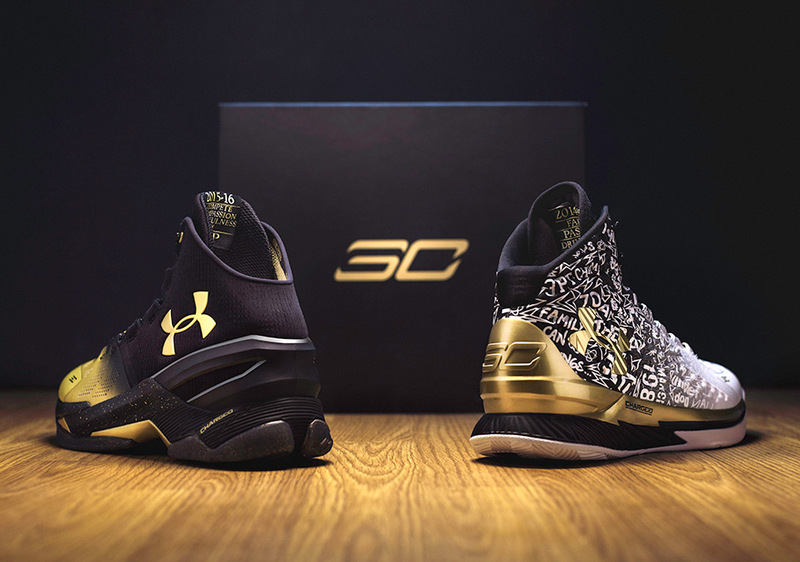 Update: Under Armour confirms the release has been postponed to a later date.